Scroll To Top (STT) is an automated Dreamweaver widget that makes getting back to the top of long web pages easier. You can add fixed position arrows, on either the right or bottom edges of your page, that allow users to scroll back to the top of the page, at any time. For illustrative purposes, this page contains a bottom bar, as well as an arrow on the right, and inline links. 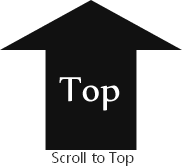 Scroll To Top (STT) is an automated Dreamweaver widget that makes getting back to the top of long web pages easier. You can add fixed position arrows, on either the right or bottom edges of your page, that allow users to scroll back to the top of the page, at any time. The arrows remain invisible until the page is scrolled. You can even set the distance that the page is scrolled, before the arrows appear. This feature makes it easy to deploy via Template, Library, or Include—as the arrows will only appear when necessary. This page contains several Scroll to Top links. As you scroll the page, you will see a black bar appear on the bottom. Scroll a bit more and a black box will appear on the right edge of the window. These are created by the widget, in its interface. Scroll this page to try it! Use your own links and images! Scrolling can be animated, or not. Choose from system-created, fixed position links at the bottom of your page, or on the right edge. These arrows only appear when needed! Convert your own text or image links into Scroll To Top links quickly and easily. Very easy to deploy in WordPress or other third-party page management programs. Note: If you have selected an existing link, even an image link, the system will detect it. You will then be allowed to quickly, and automatically, set your link to a Scroll To Top Action. Think about it. In a few seconds, you can create totally cool Scroll To Top links! Scroll To Top can be easily attached to existing page links. Existing links can be text or images. The widget can even create the link for you! This text link, Go to Top, was so easy to make. See the documentation page for details. Scroll To Top is an indispensable tool that will make your job and your life a lot easier.